Lovers of St. Barths know that the island is more than just gorgeous beaches, chic shopping and luxurious villas and hotels. For the true St. Barths traveler, it’s all about the food! The small island of St. Barths packs an impressive number of restaurants serving up gourmet food with Caribbean and French flavors. It’s not uncommon for vacationers to arrive with their weeks meals already planned out, reservations booked and already dreaming of that first luscious bite. Here’s a taste of what you can expect of the restaurants on St. Barths, from low-key to unforgettable. What we say: “A very casual snack-bar situated right near Lorient beach. It’s a very relaxing, low-key place and it is perfect for families who want to unwind and enjoy time together as they feast upon scrumptious burgers. Jojo Burger has a very fun and zestful atmosphere, and offers many great items that become immediate favorites with customers. For a lighter option, try the fish burger and a specialty smoothie. What we say: A relatively new restaurant, L’isola has definitely made a huge splash on the island of St. Barths. Many recent travelers have frequented the restaurant, and all gave rave reviews to its quality and dining experience. It has a very lovely and elegant setting, and offers numerous exotic dishes such as Fettuccine Primavera and Risotto de Mare. 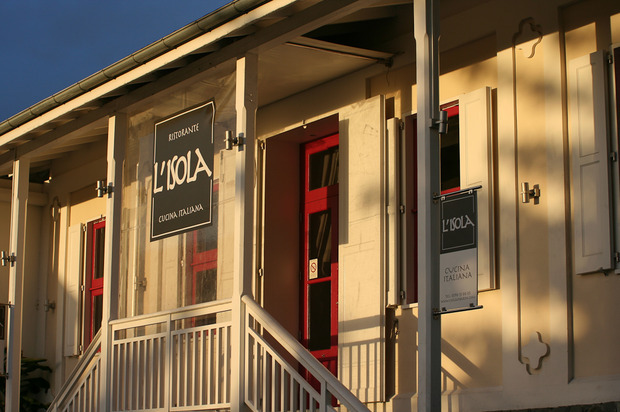 L’Isola is fine dining at its finest and offers a variety of exotic dishes. What we say: “A classic, chic and comfortable restaurant that has remained a favorite among clients, some of those being celebrities that never miss a meal at Maya’s when on island. Maya’s carries the proud title of being known as one the best restaurants in all the Caribbean, and caters to many people’s tastes and desires with its soothing and friendly atmosphere, and its specialty dishes of fresh fish, grilled meats, and exotic daily specials. What we say: Eddy’s is a St. Barths favorite, and it never ceases to amaze those that decide to try it. What is truly remarkable about Eddy’s is that it is enshrouded by an exquisite and tropical setting, and offers customers a lovely dining experience while still having affordable prices. According to a review, it is the “Caribbean translation of the Secret Garden”. Eddy’s offers very exotic and zesty dishes, such as green papaya salad and chicken in coconut sauce. A perfect place for people to enjoy nature in all its beauty and live life to its fullest.